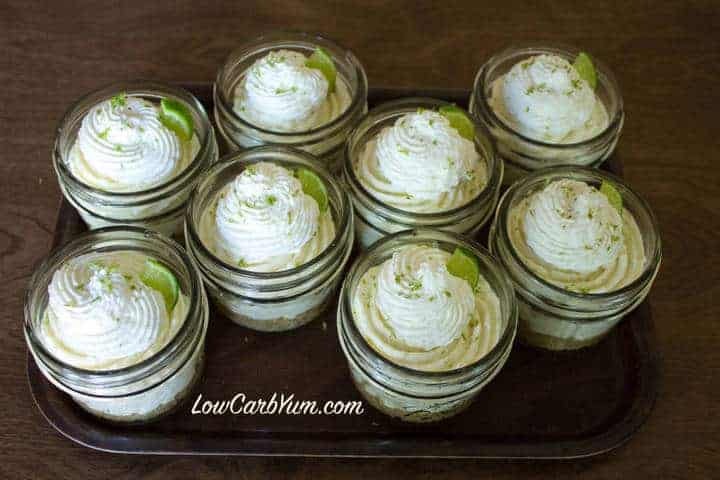 These 4 ounce low carb and gluten free no bake key lime cheesecake in a jar desserts are perfect for any summer party. They taste just like a key lime pie. 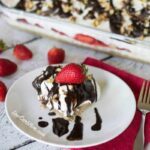 In the summer, I’ve always favored no bake chilled desserts over baking cakes and cookies. I also love the mini shot glass desserts that have become popular in recent years. I’ve seen several recipes for making mini cheesecakes in small clear cups so I thought I’d try making some. 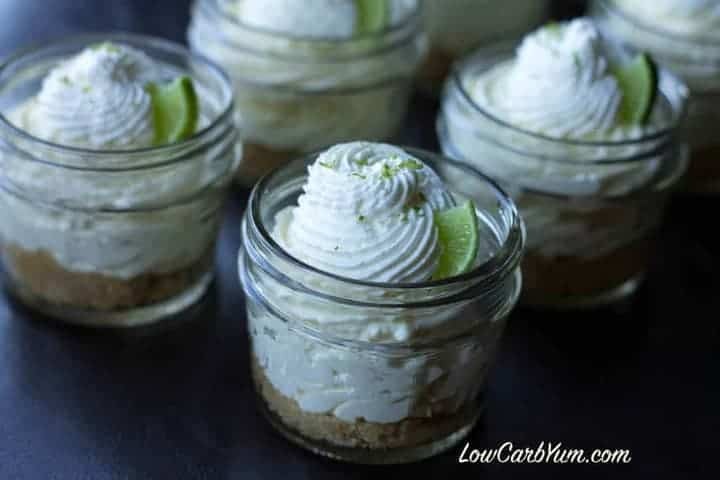 I don’t have any small dessert shot glasses so I made this no bake key lime cheesecake in a jar. The jars I used are 4 ounce mason jars designed to hold homemade baby food. These were the best sized containers I could find while out shopping. But, I’ll probably order some disposable plastic cups like they use in restaurants so I can take these to a party and not have to worry about taking the glass jars home. 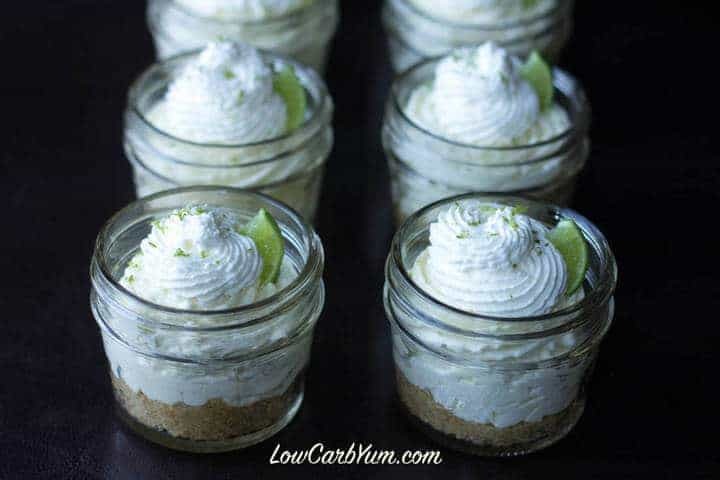 I brought these no bake key lime cheesecake in a jar desserts to my nephew’s confirmation celebration last weekend. 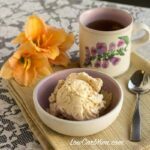 Although I’m the only low carb eater in the family, the desserts were enjoyed by all. This was the first time I’ve bought a bag of fresh key limes. I just don’t remember seeing them in the produce section before. However, I just may not have been looking for them as I don’t buy fresh lemons and limes that often. For this recipe, I used 5 key limes. You really only need 4 as that amount should provide enough juice for the filling. I used an extra key lime to garnish the tops with small lime slices. 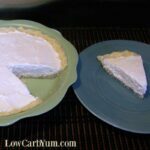 I folded in some stabilized whipped cream into the cream cheese mixture to give it a light and creamy texture. 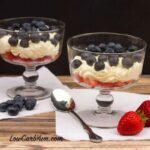 The added gelatin in the whipped cream makes it stiffer and helps to keep the cream from separating. Almond flour with a bit of cinnamon and sweetener is a great substitute for graham cracker crumbs. 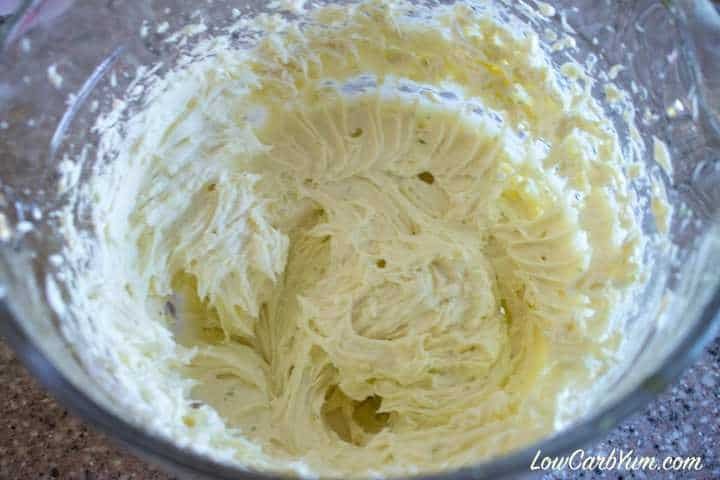 Adding some melted butter will get the mixture to hold together and form a crust when chilled. It was easier to pipe the filling into the jars rather than spooning it in. This is especially the case if using narrower dessert shot glasses. 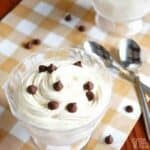 No need to make it fancy as a dollop of stabilized whipped cream will go on top. The tops of the cheesecake are finished off by piping on some of the stabilized whipped cream. As you can see in the photo, it’s rather plain so you’ll want to garnish with a bit of color. 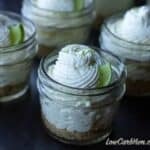 Using some additional lime zest and small slices from an additional key lime really makes the no bake key lime cheesecake in a jar desserts pop by adding a splash of color. 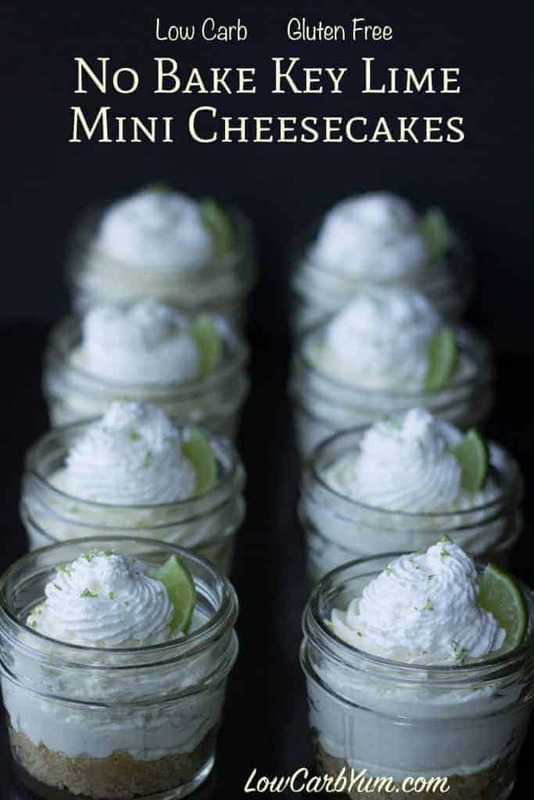 These cute little desserts are a welcome addition to any summer party and they taste just like a key lime pie. 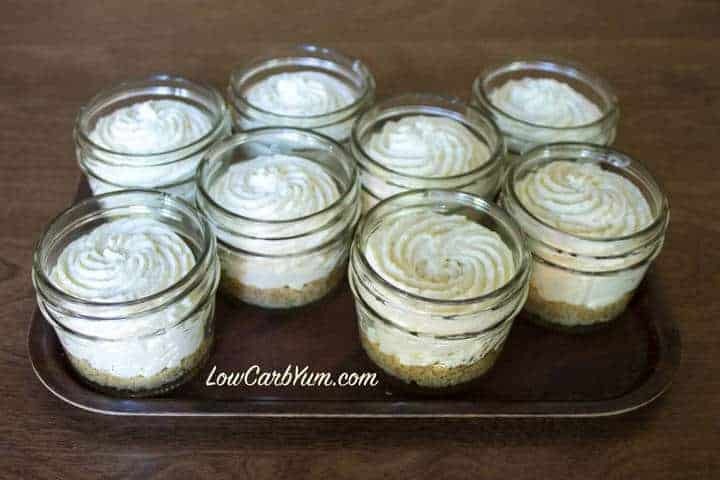 I’m not really sure why it took me so long to make these sweet little mini cheesecakes. 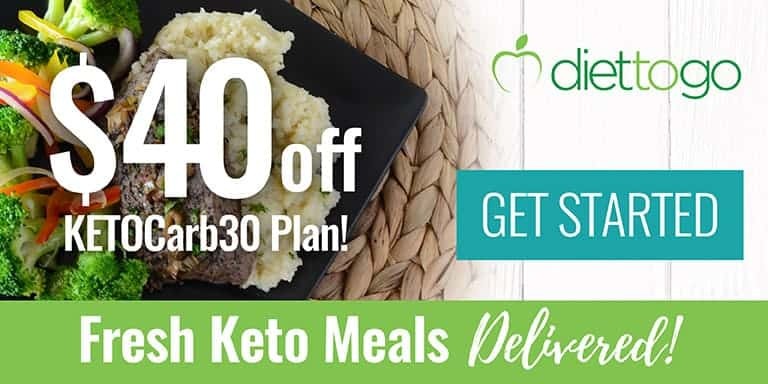 The portion size is perfect with only 1.7g net carbs in each 4 ounce jar serving. I’ll be on the lookout for some small glass cups to make more of these shot glass desserts. 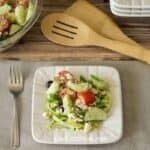 In a small bowl, combine the almond flour, cinnamon, and Natvia sweetener. 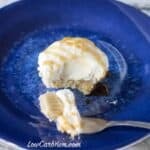 Add melted butter then divide between eight 4 ounce jars or dessert cups. Press down to form a crust at bottom of each cup. 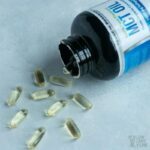 In a small pan, combine gelatin and cold water; let stand to soften gelatin. Remove from heat; cool slightly at room temperature (do not allow it to set). Whip the cream with the icing sugar, until slightly thick. 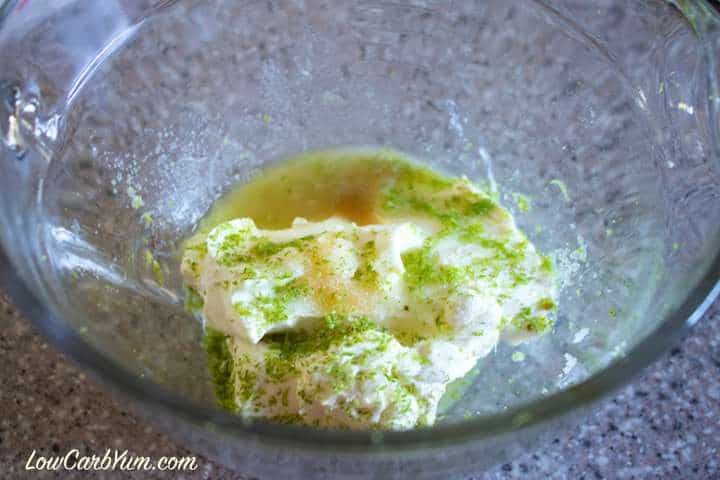 While slowly beating, stream in the gelatin liquid to whipping cream. 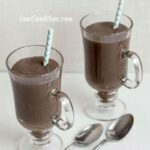 In medium bowl, blend all filling ingredients with an electric mixer until well combined. 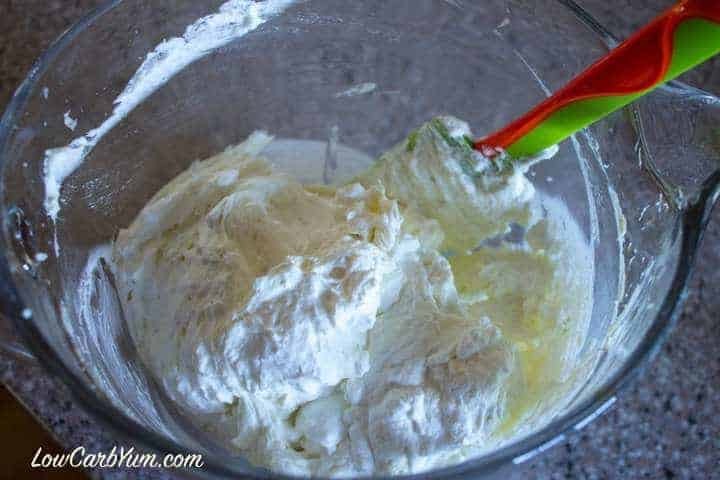 Fold in half of the stabilized whipped cream. 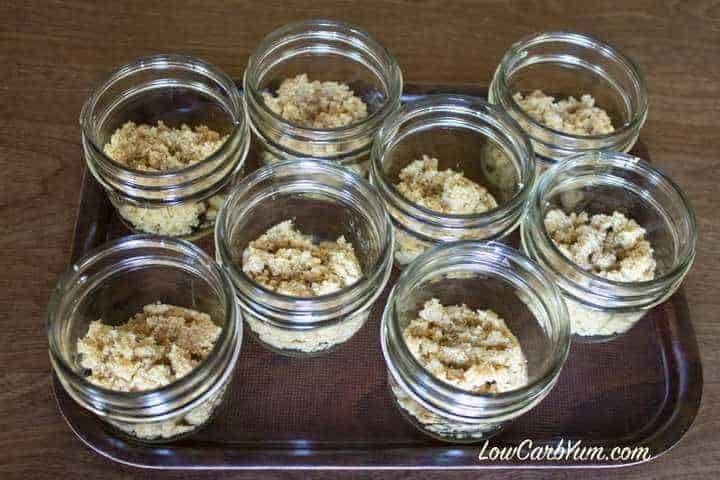 Pipe or spoon filling over crust in each jar, dividing evenly between the cups. 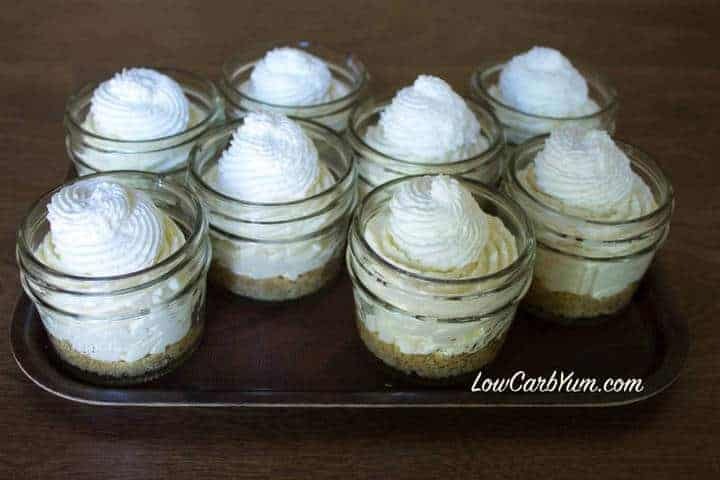 Top off each jar with the remaining whipped cream. 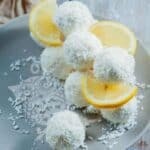 Decorate with additional lime zest and slices if desired.